Our hardworking, hard wearing CornerStone Industrial Pocket Pique Polo is built to take on the toughest jobs. This heavy-duty polo meets IL50 standards, which means it excels through 50 industrial launderings. 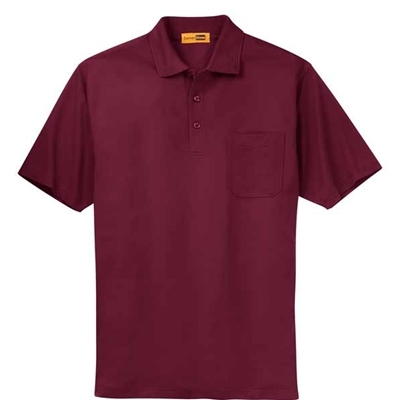 Comfortable and stain resistant, this polo has a stylish ottoman tipped collar—making it versatile enough to wear off-site, too. 6.8-ounce, 100% spun polyester.